Throughout World War II, the American news media published and broadcast timely, detailed, and accurate accounts of what was happening to the Jews in Europe. The New York Times alone printed nearly 1,200 articles about what we have now come to call the Holocaust, about one every other day. The articles in the Times and elsewhere described the propagation of antisemitic laws in German allied countries; death from disease and starvation of hundreds of thousands in ghettos and labor camps; mass executions in Nazi-occupied Russia; and mass gassings in Auschwitz, Treblinka, and Maidanek. The articles also indicated that these were not isolated incidents, but part of a systematic campaign to kill all the Jews in Europe. Nonetheless, at the end of the war and for decades afterward, many Americans claimed they did not know about the Holocaust as it was happening. This was because the American news media in genera, and the New York Times in particular, never treated the Holocaust as an important news story. From the start of the war in Europe to its end nearly six years later, the story of the Holocaust made the Times’ front page only 26 times out of 24,000 front-page stories, and most of those 26 referred to the victims as “refugees” or “persecuted minorities.” In only six of those stories were Jews identified on page one as the primary victims. A number of factors kept American journalists from recognizing the significance of the systematic murder of six million people. Worldwide carnage on an unprecedented scale helped obscure the Jews’ plight. There was also skepticism bred by fake atrocity reports during the previous world war. The Roosevelt administration’s determination to downplay the news also contributed to the American press’s subdued coverage. But the media had enough credible information to treat the news of the extermination of the Jews as important. And the New York Times played a critical role in why it didn’t. No American news organization was better positioned to highlight the Holocaust than the Times,and no American news organization so influenced public discourse by its failure to do so. Fearful of accusations of special pleading or dual loyalties, the newspaper hesitated to highlight the news. 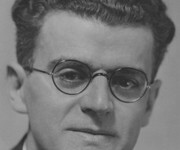 In addition, the newspaper’s Jewish publisher, Arthur Hays Sulzberger, believed that Jews were neither a racial nor ethnic group, and therefore should not be identified as Jews for any other than religious reasons. He also believed that Americans would only want to help Jews if their cause was melded with that of other persecuted people. He therefore ensured that his paper universalized the Nazis’ victims in editorials and on the front page. The result: the New York Times was in touch with European Jews’ suffering, which accounts for its 1,000-plus stories on the Final Solution’s steady progress. Yet, it deliberately de-emphasized the Holocaust news, reporting it in isolated, inside stories. The few hundred words about the mass killings that the Times published every few days were hard to find amidst a million other words in the newspaper. Times readers might legitimately have claimed not to have known, or at least not to have understood, what was happening to the Jews.